On our site we have discussed many different types of games, be it from mainstream publishers or tiny indie developers, and while we have a hefty base of console, PC, board and card game reviews readily available for our readers, there is still much more to explore. 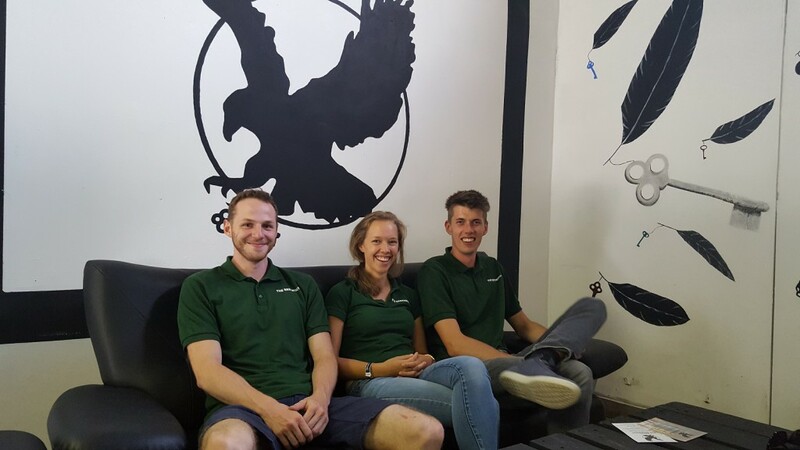 The last few years ‘escape games’ have been growing in popularity, and even Belgium is getting its fair share of such games, located in different cities across the country. In these games you’ll have to escape from a room, together with your friends, within an hour, with a certain underlying plot or theme. 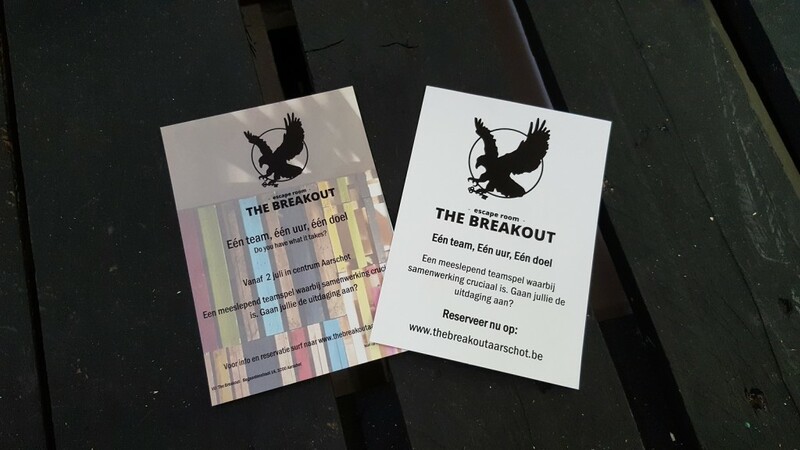 For our first experience with this real life type of game, we went to The Breakout in Aarschot where we donned our best lawyer-like suits while we dug for evidence to prove our client’s innocence. As we can’t spoil that much about the game itself, especially for those who wish to take a hand at cracking this case themselves, the following will mainly be about our personal experience. What we are able to tell is that the overall theme of lawyers searching for clues in their client’s house was well chosen and the interior suited the setting perfectly, albeit with an old school vibe surrounding the entire package. Teamwork was clearly one of the most important qualities to solve all of the puzzles, that were hidden in every nook and cranny, and one should consider dividing the tasks according to talent and skills. The latter did not prove to be such an easy task, especially seeing it was our first attempt and it’s actually not that easy to divide the work depending on each and everyone’s skills, if you haven’t been in a similar situation before. Nonetheless, clumsy problem solving aside, we had a blast and those who love puzzle solving will more than likely feel the same way. While at first, one can’t truly calculate how long you’ll need to finish the game, as the time starts ticking, you’ll slowly see the puzzle come together, and see the end goal more clearly, albeit at a heightened adrenaline level. With the timer visible, you’ll start working quicker and quicker, and perhaps the last five minutes will be your most productive ones, especially if you are close to tackling the problem at hand. Even if you can’t reach the finish line (like us), you’ll still feel that you have achieved something, as the puzzles were quite difficult right from the get-go. 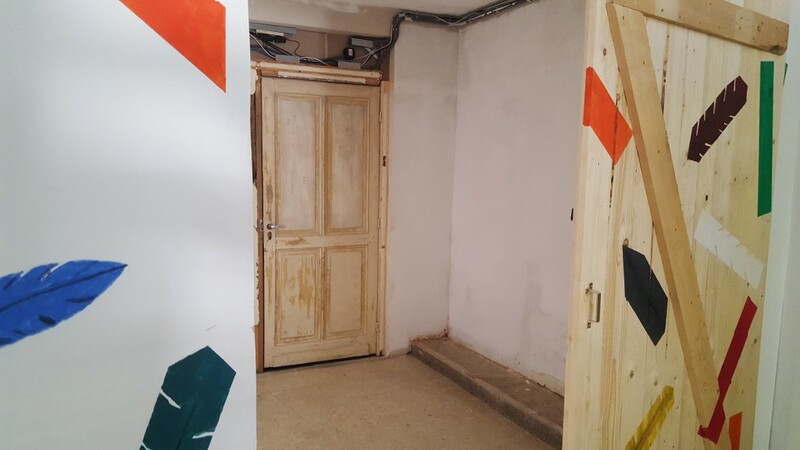 After our fun experience, we luckily also had the chance to sit down, discuss how everything went, and have a chat with three of the people behind this escape game. Why this lawyer theme? Why not follow the trend of the ‘horror’ games that are often seen? Well that’s quite simple actually, the building we’re using for our game was ideal for the lawyer theme, albeit in a more old school setting. The building is a tad older and needs renovation, thus it has a certain atmosphere surrounding it. Isn’t it a big leap of faith to piece some like this together? It’s a lot of work to find the right puzzles and it certainly cost us several brainstorming sessions. We were overflowing with different concepts and ideas, but we had to stick with one theme and then slowly mold it into something that was viable and doable for our visitors. We reckon it’s quite hard to see whether your puzzles don’t take too long, and seeing you invent them yourselves you can’t really know how long it takes for visitors to solve them. Did you get help? We asked friends to help us when it came to play-testing the room and the puzzles we originally had in mind. When we noticed they were taking more than two hours for a one hour game, it was back to the drawing board. Even now we do our best to come up with new things. Not only because variation tends to spice things up, but also because some of our furniture pieces get wrecked now and then, be it by accident, overenthusiastic players or simply those who disregard our explanation that no strength or disassembly is required to solve our puzzles. Thrift shops have been quite helpful to supply us with fun furniture for our games. We were originally planning for a second room, but seeing our lease ends in January 2017, it will prove to be rather useless to come up with a second room, as it would only be perfected at the time we would have to leave. Also, each of us will be going our separate ways when it comes to our careers and locations, thus it would be hard to keep doing this as a pastime, as working a fulltime job will already take its toll. Nonetheless, we would love to see if it was possible to do something with a mobile ‘escape game’ room, which would grant us a tad more freedom. All in all our first experience with these escape games was quite amazing, and while we weren’t all that sure what to expect and were perhaps a bit doubtful of things to come, we were immediately in the zone. The current room in Aarschot was a mix of a proper storyline with tension, excitement, a touch of eeriness and last but not least difficult yet rewarding puzzles. We wholeheartedly hope that the current team of Aarschot will come up with new projects in the future. Pre-order your ”Old Man’s Journey” hard copy for PS4 or Switch soon! Limited amount available!